Applies to Fantasy, Sci-fi, and some other fiction. WARNING: This is a bloody long post! "Why" - why do they have to die? This time we're looking at character death. It's not necessary to kill off your main or sub characters at all. For example, in Bleach (366 episodes), only a handful of people die. Sorry for the spoilers, but the only people who die really are the bad guys. And it's not even necessary to kill them off. As long as you give them a satisfying punishment or resolution, it's fine. If a villain is somehow rendered braindead, it might not be pretty, but they don't need to be killed. They won't be able to get up to no good anymore. Same if they're severely paralysed and there's no technology available to allow them to communicate, or to cure them. Or perhaps simply imprisonment in somewhere it's impossible to escape from for the rest of their lives. One thing you have to keep in mind when killing off characters is "why". Why kill them off? If a character is just a burden to you, and you can't find a way to make them useful, I wouldn't suggest killing them, I'd suggest removing them from the very beginning. If they serve no purpose - even if it's just comic relief - they shouldn't be there. But purpose doesn't have to be big; if someone were to utter just a few words to the villain or the protagonist, those words could change the entire result of the battle. They could cause someone to give up, or empower them, because they might stick in the mind and hurt or help more than the person's intention. In my personal opinion, the best reason to kill them off is to empower another character. Killing a protagonist's friend can set them into a fury which can result in them killing every enemy around them. It could give them a whole new reason to fight, a reason that won't be easily forgotten. Maybe it'll give them strength, it could awaken something in them, some desire to protect everyone else, and they'll try harder to atone for what they believe to be their failure - or what could have actually been their failure. But this can apply to villains, too. They don't need to be evil at heart, sometimes they are just misunderstood. A character who is close to another could die, and that character could try to avenge them in a foolish way, or they misunderstood the circumstances of their friend's death and take it upon themselves to kill anyone who may have been responsible. Perhaps their death won't empower another character immediately, but may offer them a key later in the story. Perhaps when someone is going through the deceased's things for one reason or another, they discover something that could give them the upperhand - something incriminating to the villain, maybe a clue to an artifact or key that could stop them, or perhaps just their diary or a collection of things given to them over the years by one person that they kepy for sentimental value. Killing off a character whose story is done is not necessarily a bad idea, but it should be done well, and relevantly. But to successfully kill off a character, there needs to be character depth. I hate to cry, I do, it's not something I ever want to do unless I'm unbelieveably stressed and need to get the lump out of my throat somehow. But at the same time, if I don't cry after a big character's death, then it was written poorly. This doesn't mean that the character's death needs to be long and drawn out, or in front of someone they love or who loves them. The reader should already have a connection with them strong enough that they don't want to see them die. When a character dies in a book I'm reading, I want to cry, I want to be sad, I want to know that this character was awesome, and nothing proves that to me more than how I feel after they die. But, this doesn't have to apply exclusively to protagonists! I've seen a few films, and in a few games, where I've cried when the big bad villain died. As I've said several times already, villains do not need to be inherently evil. Misunderstood or slightly off in the head will do. They could also in fact be perfectly good people, but the protagonist has been fed lies from an early age, either purposely by the liars themselves, or by mistake as the lies are widespread and widely believed. So if you've not seen/played/read any of those titles and intend to, don't read below until it says that it's safe in big, bold letters. SPOILERS until next large, bold, red heading! I thought she was okay, but she was never one of my favourites. I can't say I did cry when she died, but she still deserves a place on this list. She died in the third film, after plenty of air time. 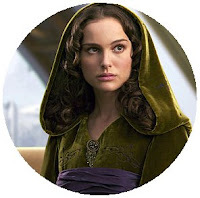 We knew her well enough, we knew how she felt for Anakin, we knew where she stood on matters and how even when she was a queen, she didn't sit on her throne all day doing nothing to change the course of events of things going on around her. She could handle herself well enough in a fight (sure, others could do better, but she wasn't afraid to get her hands dirty). After all of that, she died from a broken heart, because of what Anakin did, how he turned out. She lost the will to live. (Though personally I think after giving birth to two little kids, that would give you enough will to live, surely). Her death influenced a character. She died because of what Anakin became, he chose the Dark Side, but he did it to save her - he had a vision of her dying and wanted to be able to protect her. Unfortunately, the reason she died was because of what he had become. The vision he saw was what was going to happen because of the choices he would make, but that much wasn't revealed to him. And when she died, he took further to the Dark Side, and it led to him losing his last arm and both his legs, and becoming the Darth Vader we know and love. He became who he was because of her death. Of course, Darth Vader can be on here too - I did cry when he died, it was so sad. I cried when this guy died. He was the villain of the Wrath of the Lich King expansion - the Lich King himself. Kind of. It's a lot to get into with who the Lich King really is, but to put it very simply, there was the spirit of Nerzhul residing in the armour of the Lich King, and Arthas ended up searching for the sword called Frostmourne and was led to the armour. Finding the sword, he had a link to Nerzhul, and then when he put the armour on, he was more or less fused with him. Or something like that. It's been a while since I read Arthas (by Christie Golden). He was the young prince of Lordaeron, but a plague began to ravage his lands. The plague was started by a necromancer and was used to contaminate crops. Anyone who ate the wheat were afflicted, would die, and rise again as undead in service to the Lich King. Arthas was a good boy and desperately wanted to protect his people, and as soon as he found out what was happening, he went to the city of Stratholm to try to put a stop to it by culling it (the Culling of Stratholm is one of my favourite heroic dungeons in the whole game), and lost the respect of many. He chased the demon Mal'Ganis to Northrend where he found the sword, and after further corruption through the sword and a very long and drawn out series of events as the first of the new generation of Death Knights, he soon put on the Lich King's helmet and became fused with Nerzhul. Many years later, after sitting dormant on his throne, he awoke and reeked havoc everywhere with his undead minions. He was defeated in the Icecrown raid by "a bunch of adventurers" (including myself - best raid ever) and Tirion Fordring, and at the end, his helmet was removed, and he was there - still very human - and he was dying and apologised for his misdeeds. He then began to pass and his last words were that he couldn't see the light, he was taught there was a light (he used to be a paladin, essentially they were holy warriors who spread the word of the Light), but all he saw was darkness. 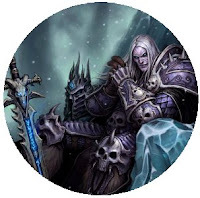 He was led with good intentions, he just wanted to save his people and be as good a king when his time came as his father was, but his passion for the matter drove him to extremes, and he became corrupted by the spirit of the Lich King, became the first of the new Death Knights, killed his father, destroyed Lordaeron (now home to the Undead who once lived there) and drove his love away. In the end he had no one, and had killed many, many, many more people than his heart could bear, and died, unable to atone for his sins. We knew a lot about him and who he was, and how he became the Lich King, which made his death - though satisfying - still very sad and really quite tragic, with the way his life turned out. This is turning out to be a difficult list of examples. 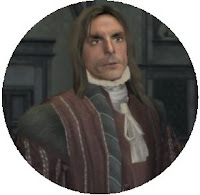 This character was not in the game for long (of course the titles of the Assassin's Creed 2 series are available as books and the story is flipping good so I highly recommend reading them if you don't play games), but he should still be on the list, because his death, along with his two sons, influenced the actions of the third son for the rest of his life. Giovanni Auditore de Firenze (of Florence) was hung with his eldest and youngest son by Templar conspiritors. The Templars and Assassins had been fighting eachother since the Crusades, and this game is set in Italy during the Renaissance. The Templars were growing in number, while the Assassins were dwindling, and just before Giovanni's death, he told his son, Ezio, who had managed to evade capture, to take a scroll to a family friend to clear their name. He took the scroll, but the family friend was in fact a Templar, and followed through with the execution. Ezio was told shortly later that his father was an Assassin, and that he would follow in his foot steps. He did. He donned the armour, the awesome hidden blade, and using his childhood talent of scaling buildings and free running, became a very adept Assassin. But he took that path to enable him to avenge his family. He fled Florence with his mother and sister, and he learned to hone his skills, and was able to kill many Templars who had been key in his family's murder, and to rid the world of their corrupt ways. It wasn't particularly sad when he died because we knew little about him, but his death had a massive influence on Ezio, and changed his entire life. Ezio believed his father to be only a banker, and knew nothing of the Assassins, but - as games and books go - he was able to rebuild the order of Assassins and recruit new people. Absolutely amazing story, really quite funny with his womanising ways, but so fantastic. The game gets a little repetative - it's all stay out of sight and aerial kills - but as a spectator (it was never a game I could play, but I watched Seeg play them all) it had a marvellous story, and the books remove all of the running around in between (and the stress of failing missions because you've been detected). You also learn a little Italian - swear words, of course. Apparently there was a problem with the animus' language translation or something. We've visited this guy before, but in this post we're looking at his death. The game followed him as the main character, blackmailed into helping the government take down his old gang because they had his wife and son. He did as they wanted, and managed to take down his old gang, they let him go and he lived happily with his family for about a week, before they turned up and killed him, too. His death was awful because he (and the player) had been led to believe that that was it, the government would leave them alone and go pester someone else. He was in the barn at the time, and when he came out, there were lots of government people standing outside, guns drawn. He drew his gun and managed to take some out (or not, depending on your play style), but they killed him. And it wasn't just one shot. They shot him again and again and again, he was shot to hell and back again before they stopped firing. I cried at this one too, the main character had died, which is not something you see all that often really, but I figured it was a good end to a good game. This was late in the game, however, so it was an assumption that it was the end, but shortly later there was a cutscene that sees someone standing over two graves at the Marstons' ranch. The figure is his son, grown up, and the graves belong to John and his wife who died later, likely of causes more natural than one hundred bullets to the chest. You can play on in the world as his son, though there's no story left. It's more of a free-roam, but he's turned out a lot like his father, and there is a side quest if you can find it where he hunts down his father's killers and kills them himself. 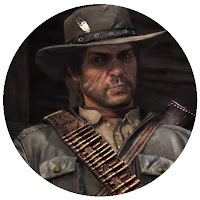 In this example I'm focusing more on the death of Marston being unexpected and really very sad, but he did have an influence on his son - sure, whether you kill them or not, or even go looking for them depends on how you want his son to be, but he still turned out like his father, though he seemed like he'd turn into a proper young gentleman when he was younger. As this list shows, even villains can be killed and the reader can be sad to see them go, and generally if it's a good person who's died - lead role or not - they can have an effect on other, bigger characters, and can influence them to chase down their target harder, or to become darker and filled with hate. I still prefer to see deaths that make me cry. A poor death belonged to Krasus in the book "Thrall: Twilight of the Aspects". Krasus was the mate to the queen of the Red Dragon Flight, Alexstrasza, and they loved eachother dearly. He'd been in many, many books (all of which written rather tiresomely by Richard A. Knaak), and as repetative as his name became, I was fond of him. But in the T:TotA, there was a sudden implosion, and he was gone. Being that Warcraft is a fantasy setting, with magic, dragons, demons and so on, I naturally assumed we'd see him in a few pages' or chapters' time. We did not. He had, in fact, died, and as much as I love Christie Golden, his death was far too sudden for a character who had been around so often, and it seemed a bit disrespectful to a good character who often solved problems and saved everyone's hides. It happened near the beginning of the book, and it wasn't until the end of the book where it was explained that I fully realised he had died. 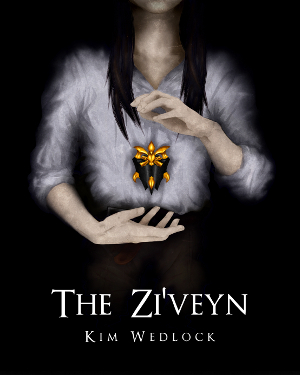 He had been in the Red Dragon Flight's sanctuary, and had been amongst the eggs of his kind, but as he was caring for them, he noticed something black, and as he touched it, it clung to him and began to creep up his arm. Other eggs took on the same effect, and he saw a troll appear, laughing, and wearing the garments of the Twilight Cult. The cult had infected the eggs, turning them into horrible dark mutants who would mostly not survive, and any that did would be bent to the will of the cult, much like the Red Dragon Flight had in earlier years to the Orcish Horde. He realised that all he could do was destroy the eggs - and since he too was infected and it was taking hold fast, he would have to destroy himself too. Using his superior knowledge of magic, he caused an implosion and took out all of the sancturies (green, blue, bronze and his own red) to eradicate the threat of any more mutated dragons destroying the world at Deathwing's command. Through the whole book I was questioning if he had really died, because it was barely addressed. Deaths can be swift, even for characters who have been extremely present even through six or so books, and sometimes the swifter they happen, the sadder they are, because it seemed like no one could do anything about it, but they have to be addressed. The impact of Krasus's death only seemed to reach Alexstrasza, who withdrew into herself and refused to help or acknowledge anyone around her, and I believed, even at the half way point, that we'd see him again. There was no body so I assumed he'd teleported himself and the sanctuaries elsewhere, since it was within his power, but nope. He was gone, in a puff of smoke. When killing off characters, you really must respect them. This is easy to do with protagonists, you'll probably give them a funeral, too, but you must show respect to your villains. Even if they are despicable, truly black to the depths of their frozen hearts, with no understanding of the word 'compassion' or even know how to smile - they're your creations, and they were good enough to be the evil force of your book, the reason the story even happened - if there's no villain, there's no plot, and if there's no plot, there's no story. A villain is the most important character to a story, and you should show them the proper respect. You can kill them in a terribly evil way - they probably deserve it; leave their bodies for the crows to pick at, but you absolutely must give them the final spotlight they deserve. Let the reader understand that they're truly dead, let them rejoice, or let them cry, but let them know that the threat is over, and that they won't be getting back up. I also want to take a moment to explain that you don't have to kill your villains or protagonists to bring the story to an end. Killing them certainly lets the reader know that there won't be a continuing story, that that tale is done and dusted, but there are other ways of rounding things off. Bleach was a wonderful example of this. Prepare for spoilers. Aizen was defeated in the end, but although every Espada had been killed - as had Tousen and, unfortunately, Ichimaru - Aizen was never killed himself. He was locked away for 20,000 years. I will point out right now, though, that you must ensure that you still round it off. Aizen is proclaimed as being immortal by Central 46, but they still sentence him to 20,000 years of imprisonment. What will happen after 20,000 years? He'll probably try everything all over again, with a newly formulated plan (he's had long enough to put one together), if he doesn't manage to escape from imprisonment before then. But either way, even if he did continue 20,000 years later, you can still say the story is almost more or less finished - it'll do, at the very least. Alternatives to killing could be secure imprisonment, as above; powers removed or locked away permanently so that they can't get them back, or alternatively they could end up destroying their own powers by trying to do something that was out of their abilities; they could be insane, perhaps they turn into a jibbering wreck and can't recover. Either way, just give your villains - perhaps even your protagonists - a decent end that is worthy of them, and also rounds off the story, or even leaves a small window of opportunity to continue at another point, but small enough that the story will survive without revisiting it. None of these pictures are my property.